HomeSend JV to Expand Options for Consumers to Send and Receive Money Worldwide. MasterCard (NYSE: MA), eServGlobal (LSE: ESG.L, ASX: ESV.AX) and BICS today announced the formation of HomeSend, a joint venture (JV) which will enable consumers to send money to and from mobile money accounts, payment cards, bank accounts or cash outlets – regardless of their location or that of the recipient. The HomeSend JV will leverage the current HomeSend platform, a remittance hub based on eServGlobal technology and developed as part of a strategic partnership between eServGlobal and BICS. The HomeSend platform was first to market in offering international mobile remittances. Today, HomeSend has live deployments in 50 countries and commercial contracts with mobile network operators (MNOs) and money transfer operators (MTOs) that represent more than 1.2 billion subscribers – the equivalent of one in seven of the world’s population – and 200,000 cash agents respectively. By connecting the worldwide community of telecom partners and MTOs to the more than 24,000 financial institutions on the MasterCard network, the HomeSend JV will provide consumers new options and flexibility for sending or receiving funds and enable cross border remittance payments worldwide. For people in developing markets, the receipt of funds from friends and family is an important lifeline. Based on World Bank estimates, remittances to developing countries will reach around $515B by 2015. “We are very happy to be part of this significant milestone for the mobile financial services industry, and believe this type of service can open up new remittance corridors and expand the scope of money transfers around the world,” added Daniel Kurgan, CEO of BICS. 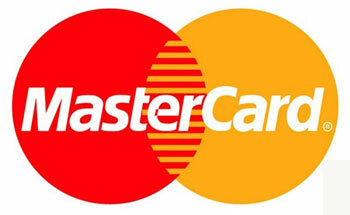 MasterCard will own a controlling share of the HomeSend JV. 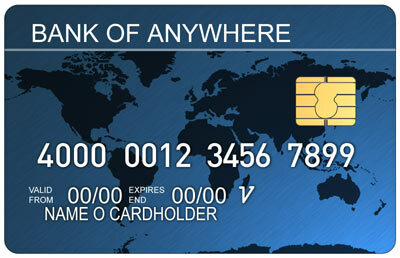 MasterCard (NYSE: MA), www.mastercard.com, is a technology company in the global payments industry. We operate the world’s fastest payments processing network, connecting consumers, financial institutions, merchants, governments and businesses in more than 210 countries and territories. MasterCard’s products and solutions make everyday commerce activities – such as shopping, travelling, running a business and managing finances – easier, more secure and more efficient for everyone. eServGlobal (LSE: ESG, ASX: ESV) offers mobile money solutions which put feature-rich mobile financial services at the fingertips of users worldwide, covering the full spectrum of mobile wallet, mobile commerce, recharge and agent management features. eServGlobal invests heavily in product development, using carrier-grade, next-generation technology and aligning with the requirements of more than 100 customers in over 65 countries. eServGlobal also offers a comprehensive suite of sophisticated, revenue generating Value-Added Services to engage subscribers in a dynamic manner. These services can be seamlessly integrated with our mobile money portfolio to extend loyalty and promotion offers. eServGlobal has been a source of innovative solutions for mobile and financial service providers for 30 years. BICS delivers best-in-class international wholesale solutions to any communication service provider worldwide. Through its Mosaic portfolio, a comprehensive, flexible and innovative suite of solutions designed to be used individually, or collectively, BICS meets the existing and future requirements of the global telecoms industry. BICS’ headquarters is located in Brussels with regional offices in Bern, Dubai, New York and Singapore. We have also local representation in Accra, Beijing, Cape Town, Miami, Montevideo and Nairobi. Our team continuously strives to provide our customers with the highest levels of quality, reliability and interoperability enabling them to maximise their end-user value. With our successful consolidation strategy, and a continuing focus on technological advancement and innovation, we have achieved a world-leading position in the international Voice and Mobile Data markets.